Your holiday must start by picking the perfect accommodation. If you do not want to deal with traffic, which is quite wild in Bangkok, and prefer to be near to efficient transport, then you need to stay near to BTS & MRT. Fortunately, Bangkok has excellent hotels at your disposal near to these transport links, so you can enjoy a holiday free of traffic! Worry not, because they are luxurious, modern, clean and equipped with everything you will ever need to spend a pleasant and satisfying holiday in The City of Angels. We have attached a straight-to-the-point review of each hotel, so you can get a proper overview in a fast manner. That’s it, enjoy this article written especially to you by Apoteka! Right next to the Ploenchit BTS Skytrain Station, you will find an exceptional display of modernity embraced with art and sophistication. That is how we can define this hotel the best, because it is stunning and captivating from the first moment you look at it. The interior is modern and beautiful. It will take your breath away, for sure. This hotel will make your stay unforgettable. From here, you will have amazing and beautiful views of the city, access to spa center to pamper yourself, a fully equipped fitness center and other luxurious amenities like a modern suspended pool. Here you will also find Yamazato, one of the most famous and prestigious restaurants from Japan, where you can enjoy the best of Japanese gastronomy. The rooms are extremely comfortable and designed to make your stay a pleasant stay. They also come with free Wi-Fi. There you have it, the magnificent Okura Prestige, one of the best hotels near BTS & MRT. Address: 57 Wireless Rd, Khwaeng Lumphini, Khet Pathum Wan, Krung Thep Maha Nakhon 10330. Sophistication, a friendly staff and comfort everywhere you look. 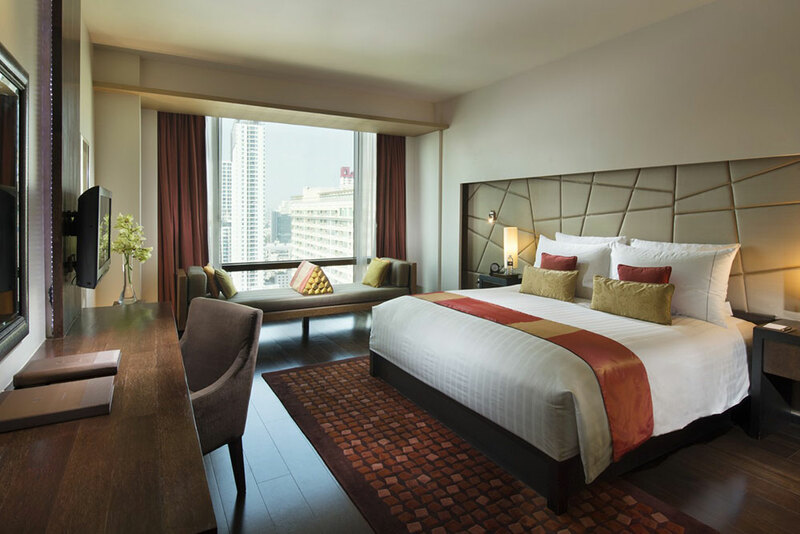 This is the experience that VIE Hotel Bangkok offers you, and thereby, it is one of the best places to stay near the BTS & MRT. From every single one of the 154 spacious rooms, you will have stunning views of The City of Angels. They’ve been designed to bring you the maximum comfort. Here you will also find another excellent Japanese restaurant: YTBS. However, not only that, because you also have the fabulous VIE Wine & Grill, where you can enjoy the best of international and Thai cuisine. The best is that talented, experienced and specialized chefs will cook the most delicious meals for you. Here you will also find options to relax and spoil yourself. The fabulous VIE Pool, where you can find peace and sophistication in the same place. An Oasis in the middle of the city. For a special treatment, you can visit the VIE Spa. If you want to work out and stay in shape, then fitness center is at your entire disposal. The VIE Hotel is waiting for you. Address: 117/39-40 Phayathai Rd, Khwaeng Thanon Phetchaburi, Khet Ratchathewi, Krung Thep Maha Nakhon 10400. 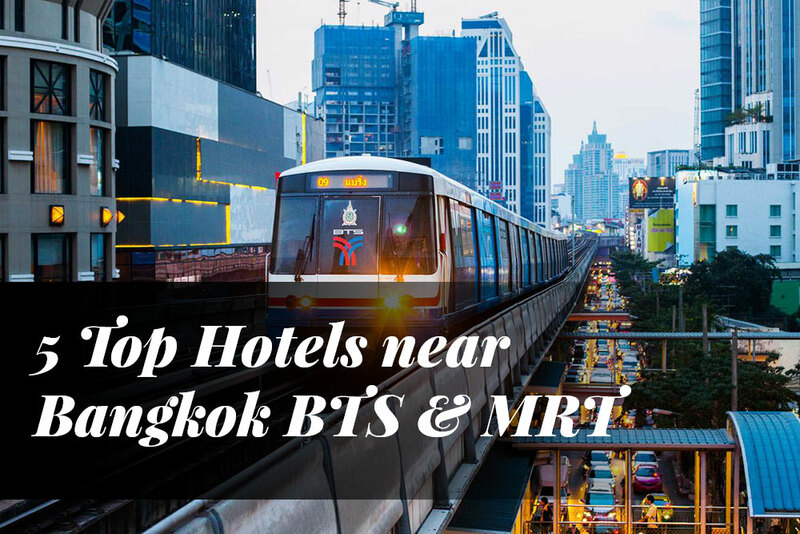 An amazing hotel in a mall, with a privileged location that brings you direct access to the BTS Skytrain and MRT underground. Let’s start by the rooms: they are modern, elegant and spacious. You will find plenty of comfort here, guaranteed. After a long and fun day in the city, you will be able to lay down and relax. The exceptional BlueSpice restaurant ready to serve you the most delicious meals. You cannot go wrong with this hotel, simply fabulous. Address: 2 Soi Sukhumvit 19, Khwaeng Khlong Toei Nuea, Khet Thawi Watthana, Krung Thep Maha Nakhon 10110. 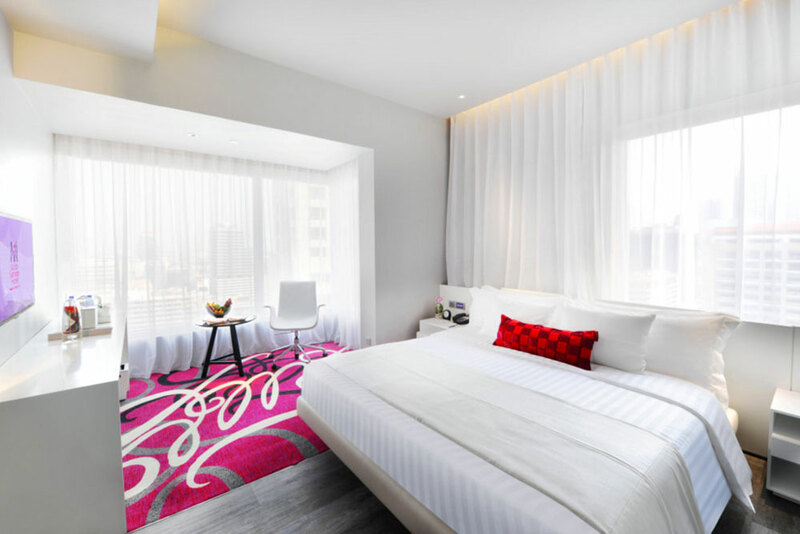 An excellent hotel located in the Siam area, right beside the BTS Surasak Station. Transportation will be easy and smooth from here. 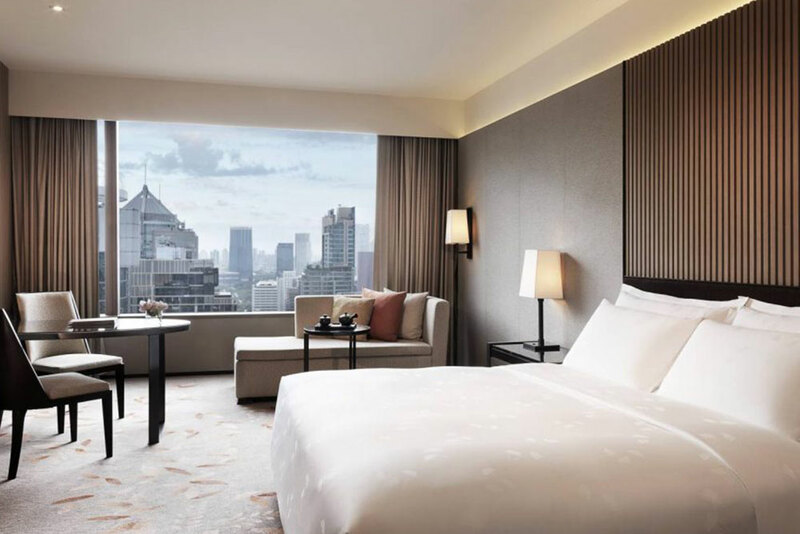 A business hotel, as described by Mode Sathorn, includes everything that is necessary to make your stay a memorable and pleasant experience. You will be in heaven when you stay here. The style is decorated in a modern and truly elegant way, you will be amazed from the first moment. You have different kinds of rooms at your disposal, from a one-bedroom suite to an elegant business studio. They have the perfect room for your needs. A business zone with meeting rooms and more. 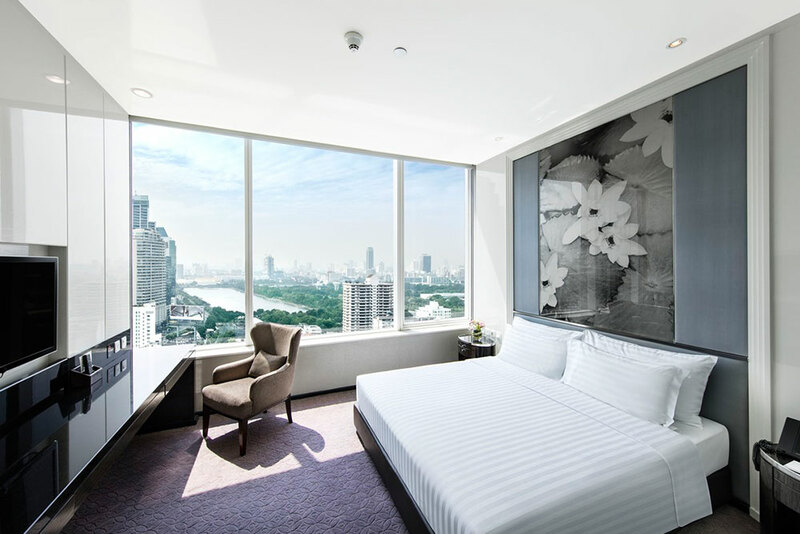 As you can see, it is the perfect business hotel in Bangkok. Address: 144 North Sathorn Road, Silom, Bangrak, Bangkok. This hotel is in a privileged location in the business district of the city, and of course, it is near to transportation links. A few minutes walking and you will arrive to the BTS. 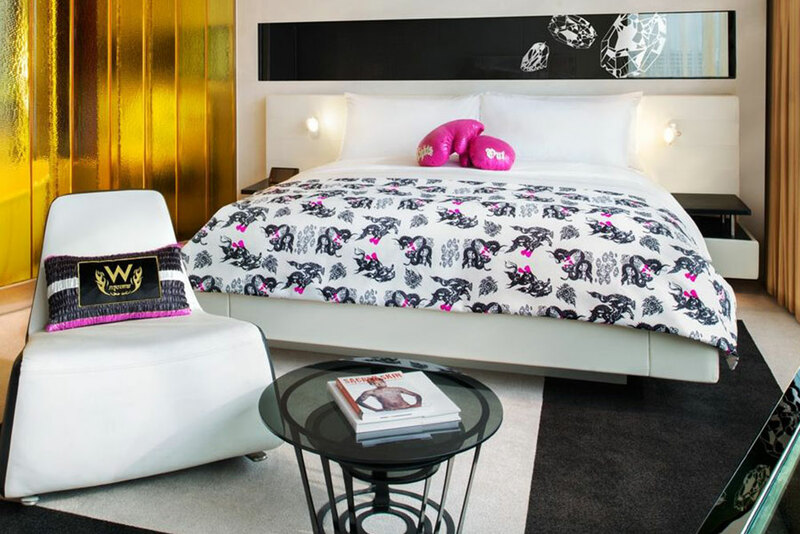 W Bangkok is more than just another place to stay, it is an icon, a magnificent exponent of Asian chic. All of its design and decoration clearly show it, therefore, it is a real show from the moment you look at it for the first time. They have eight different types of rooms, ranging from a business studio suite to a phenomenal Extreme Wow Suite. Everything is chic and modern here… you will love it! The hotel has an incredible Fit Gym, a relaxing and exotic WET Pool, a relaxing AWAY Spa and live DJ during the whole week at WOOBAR. You also have transportation and other extra services at your disposal, everything to make your stay one of the best experiences of your life! Address: 106 North Sathorn Road Silom TH-10 10500 TH, Bang Rak, Bangkok 10500. This is the end of this article. We hope you enjoyed it, and if you have any question, let us know in the comments. We will get back to you!